Update 4-14-15 – Start R.I.G.H.T. We are officially in the 5th week of the Start RIGHT Challenge and as you can see, you’ve been VERY busy. Almost 1,000 hours of activity has been logged! I’d also like to note that Canyon Crest is back in the lead. 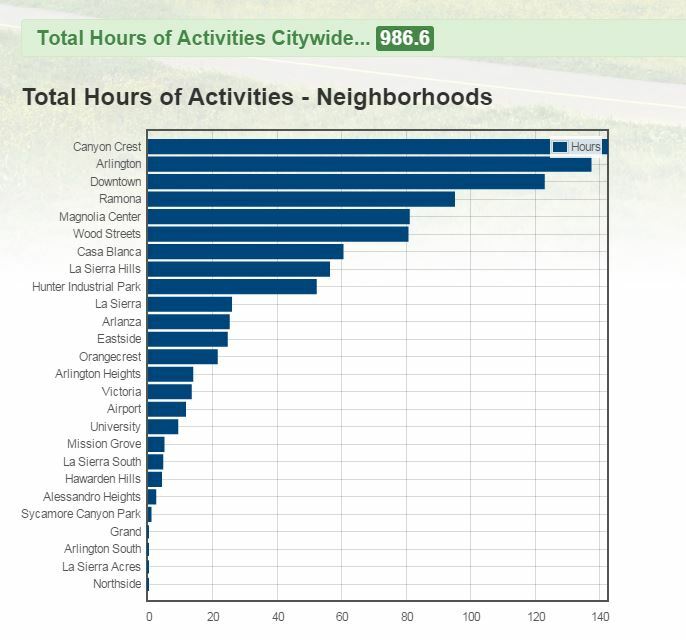 Apparently the Canyon Crest and Arlington neighborhoods are quite competitive. I think it’s time one of the other neighborhoods steps up with some serious hours and shakes things up a bit. Get your neighborhood together for a group bike ride, basketball game, tennis match or even go roller skating/ice skating Get creative with your activities and invite others to join.